As you know from my post "It's All About the Wood", Angelino has been preparing things for his operation in Napa, California. 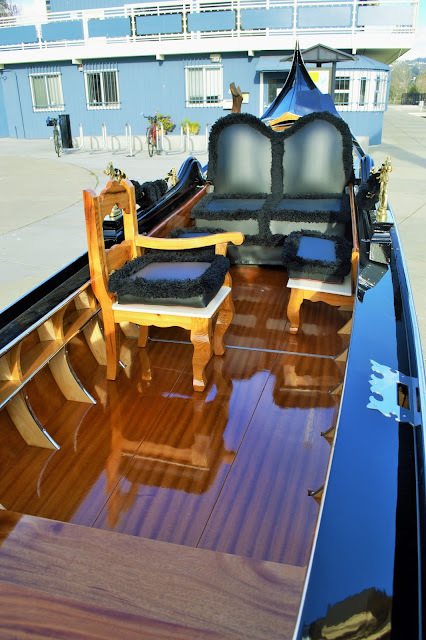 and is now ready to fulfill her destiny - taking passengers and making memories on the Napa River in California's wine country. He brought a boat to the location back in 2003, but the circumstances were different and things weren't exactly the way they needed to be. 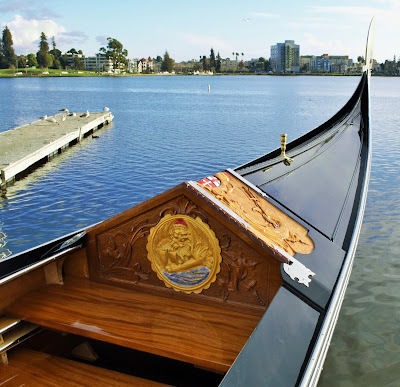 Now, after decades in the business, the stars have aligned and soon the most beautiful gondola in North America will call the Main Street Boat Dock her home. Ah, but things don't always go exactly as we plan them. It seems that Gondolas aren't the only thing that Angelino is great at. He's been working with an Italian wine import company for some time now, and it turns out, he's going to need to remain in Oakland (when not traveling through Italy with clients). 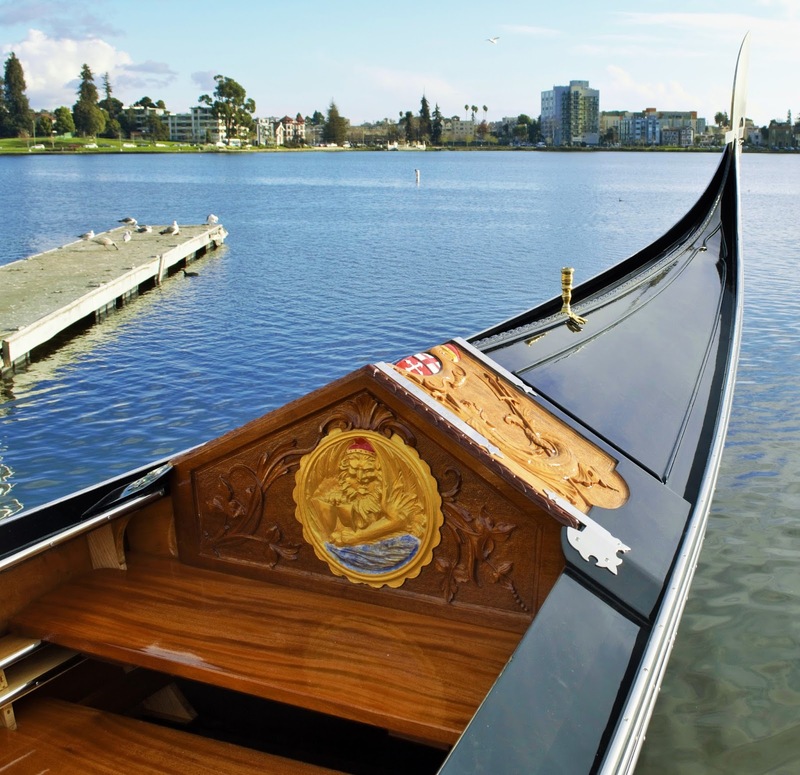 He's looking for one good gondolier - who knows their stuff, is a strong rower, and is willing to relocate - to row that gorgeous gondola on the Napa River. This will be like having your own gondola operation, except that you won't have to buy the boat, set up all the intricate details, and shoulder the many other burdens of company ownership. Tell ya what - I'm jealous of whoever ends up getting the job. so most client interaction will only be on the docks and while cruising. The base of operations is located at the base of the 3rd Street bridge at the intersection of 3rd and Main Street. and expect to be available 5 days per week.